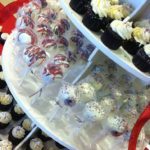 Gourmet treats are perfect for any special event or occassion such as weddings, bridal showers, baby showers, birthdays, corporate events and more. 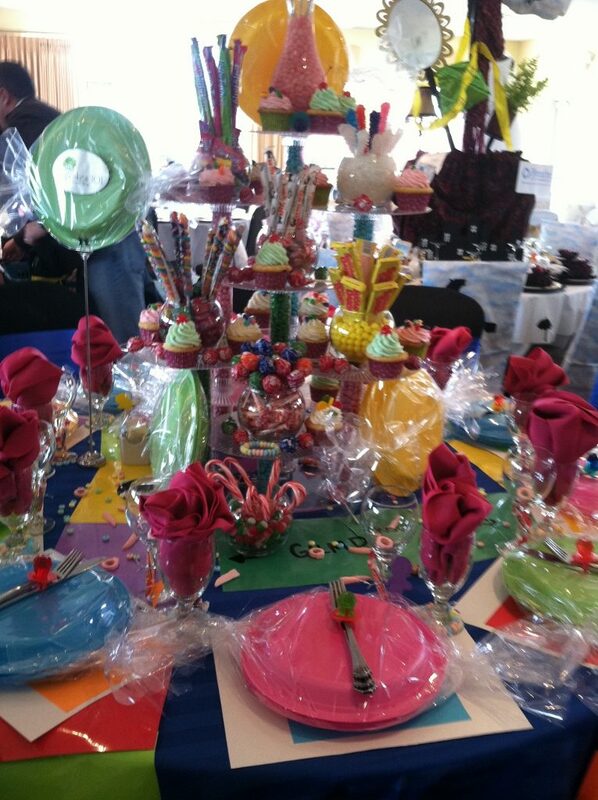 Let Cupcakes 101 provide you with the perfect dessert for your special event! For any special occasion, contact the shop at (603) 488-5962 for more information and pricing. How many cupcakes per person should be ordered? 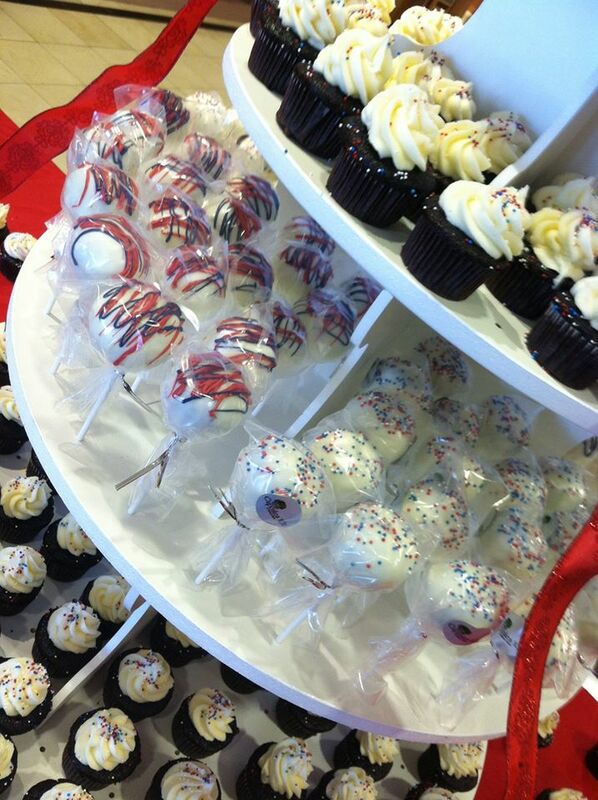 We recommend an additional 10% for regular size cupcakes or 2-3 mini cupcakes per person. How many mini desserts per person should be ordered? We suggest if serving with cake order 2 — 3 person. If serving without cake order 4 &mash; 5 per person. How many flavors should I order? Cupcakes 101 recommends four flavors per 100 guests. 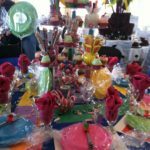 You are welcome to choose any of our regular flavors which can be ordered with standard frosting and decor, or choose custom colors and decorations for an additional charge. 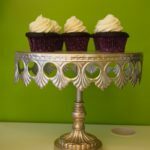 How can I display my cupcakes? 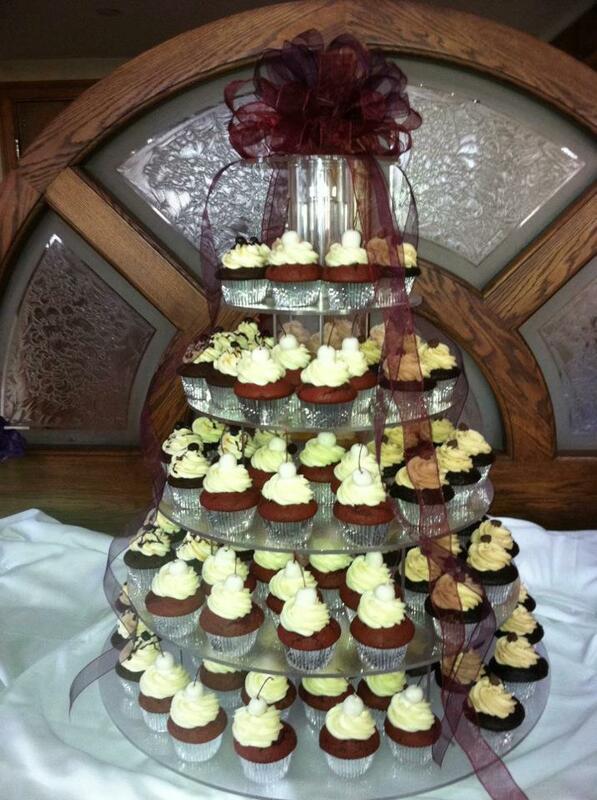 We stock a variety of cupcake display trees and stands for rent. Our tree and stand rentals range in price from $5 up to $55 depending the display you select. Subject to availability, first come first serve. Do you offer delivery, set-up and take down services? Yes. Our delivery fee is $35 an hour for all deliveries outside of the Bedford, NH area. Our delivery area covers all of New England. Orders can also be picked up at our shop at 32 Bedford Center Road; Bedford, NH. How and when should the cupcakes/cakes be displayed? 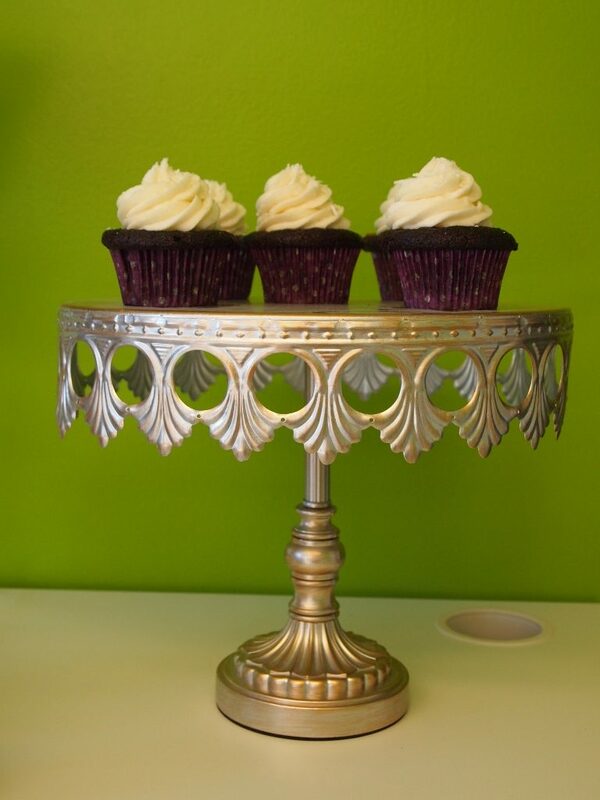 Our buttercream, cream cheese, whipped cream or mascarpone frosting on the cupcakes are susceptible to warm conditions. They should be displayed in the shade or indoors. Please do not refrigerate the cupcakes — if serving the same day, set out one to two hours prior to your event. 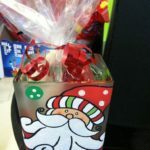 If serving the next day, please store in an air tight container to keep them fresh. We have no specific advice on booking your event. 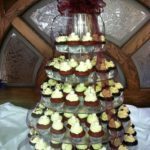 We bake our cupcakes daily so they are fresh, and we are careful not to overbook so we can meet the requirements and demands of your special event.